Since one year in place, the private enforcement system has proved to be highly efficient and will continue developing as part of the justice reform in Ukraine. With the introduction of the private profession and the first PEO’s embarking on work in 2017, today there is a mixed enforcement system in Ukraine with 125 private and some 4500 state enforcement officers. Despite their small number, PEOs are already competing with the state-run service, since they execute judgments in a quick and high quality manner. In 2017, private enforcement officers returned to creditors 57.6 million UAH in 269 cases, while in the first semester of this year, the amount of funds recovered has gone up to 915 million UAH in 2.2 thousand cases. The results and prospects of private enforcement system have been discussed by the participants to the conference “Current Situation with Execution of Judgments. Results of the Enforcement System” that took place in Odesa on October 25. The event was organized by the EU Project “Pravo-Justice” for justice-related reforms in Ukraine, together with the Southwest Economic Court of Appeal, and supported by the Ministry of Justice of Ukraine, the Council of Private Enforcement Officers of the Odesa Oblast Enforcement District, and the Association of Economic Court Judges of Ukraine. The enforcement reform is a key area of intervention under the “Justice Sector Reform Strategy 2015-2020", and is carried out in accordance with European standards and best practices. According to the Ministry of Justice, by 2017 the average rate of execution of judgments was only 5-6%, whereas in the EU countries this index is 50-70%. “The enforcement system reform is a basement for timely execution of judgments. After all, only if the judicial system operates, and court decisions are executed, only then the right of individuals and legal entities to a trial is protected. As the practice in other European countries has proved, the privatization of the enforcement service is the only way to effectively address the eternal problems of debt recovery in Ukraine, the latter being of nearly €20 billion, which has been repeatedly highlighted by the European Court of Human Rights. 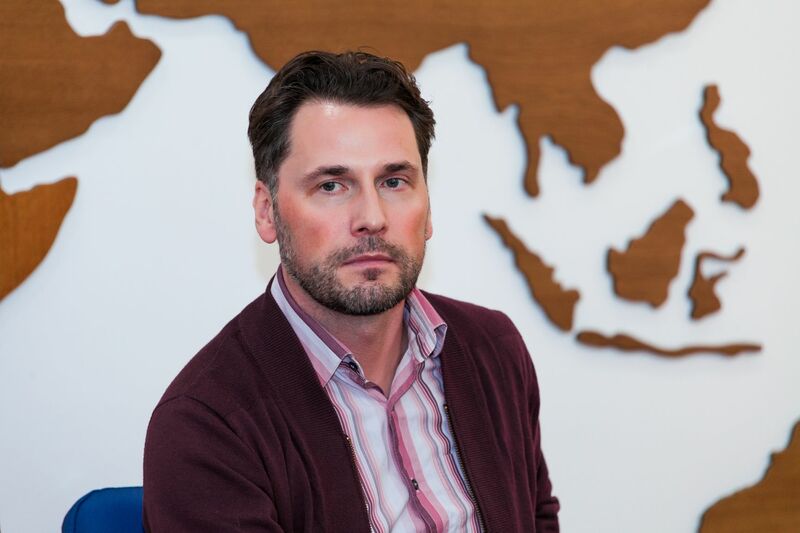 The government, which would not pay its debts to citizens, not only does not respect the rule of law – it has no moral authority to demand responsibility and accountability from the private sector,” said Dovydas Vitkauskas, Team Leader of the EU Project “Pravo-Justice”. MoJ statistics indicate an increase in trust in the PEO profession. While in 2017 they received 3.4 thousand writs of execution for the total amount of 716 million UAH, in the first semester of 2018, the number of writs of execution reached 11.8 thousand pieces for UAH 5.7 billion. One more significant advantage of PEOs for the creditors is their time-efficiency in the recovery procedure. Instead of a long recovery process carried out by the state service, the PEO may, in some cases, complete the case in 3 days. The privatization of the enforcement system is in line with the common trend in the EU, where such system is widespread. Most of the new EU MS, through the transition to a new format or a combination of private and state professions, managed quickly to strengthen the rule of law. Some countries, like Serbia, who first stayed with a mixed system, eventually switched to the purely private system as the more efficient one. In Bulgaria, for example, there is a mixed system in which the scope of competences of private and state enforcement officers is the same, the former demonstrating greater efficiency in their operation. The Ministry of Justice said that it was planned to increase the number of PEOs up to 800 by the end of 2018, while there general number is supposed to be not less than 3,000. At the same time, the participants to the conference also discussed the factors that obstruct the quick development of the PEO profession. Thus, the issue of equalizing the competences of SEOs and PEOs is still pending, although it was planned to approach it in the current year. The professional community is concerned by the low level of access to the profession – in the first 9 months of 2018, a tiny handful of candidates have got licensed as PEOs, in place of the declared 800 people. Among the issues that require proper regulations, there are summary proceedings, interaction with the State Fiscal Service, the receipt of basic remuneration by PEOs, and the operation of the Disciplinary Commission. In Odesa region, there are 7 private and some 100 state enforcement officers today. According to the Council of PEOs of Odesa region, while one state enforcement officer submits, on average, two lots or applications for the sale of debtor’s property at an auction, a PEO submits nine. In general, each PEO holds 200 to 300 writs of execution. According to the information provided by the Odesa branch of SETAM – system of electronic trade of arrested property, – for three months (from July 24 to October 24), PEOs filed for sale 25% of the total number of applications. “Today, there are hardly any complaints from the creditors, that is, those who need their rights restored and their debts recovered, as provided by law. I believe this to be the best indicator of the effectiveness of work, since the creditors’ complaints usually relate to untimely actions (slow operation) or omissions committed by enforcement officers. In addition, we always try to convince the debtor and the creditor to seek for an amicable agreement, which is beneficial to all parties,” said Georgii Parfionov, Chairman of the Council of PEOs of Odesa region. 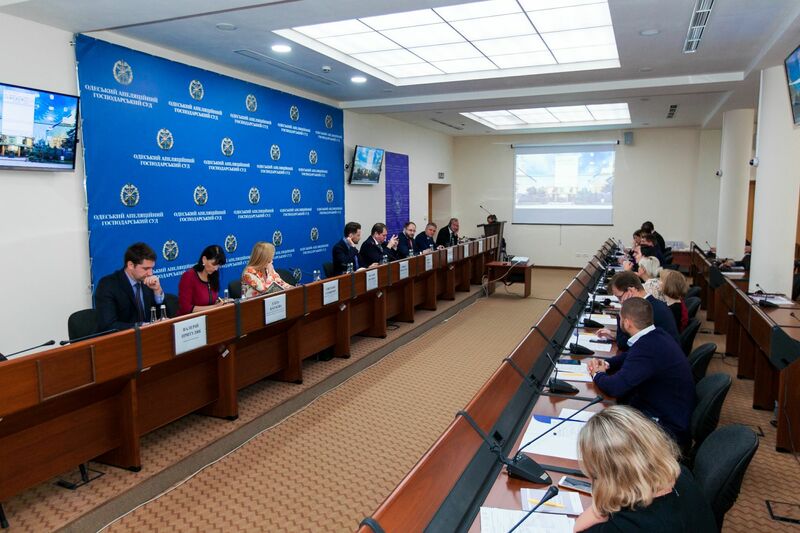 The large conference on the enforcement system marked the start of operation of the Odesa Judiciary Reform Council who sat for the first time on October 24. 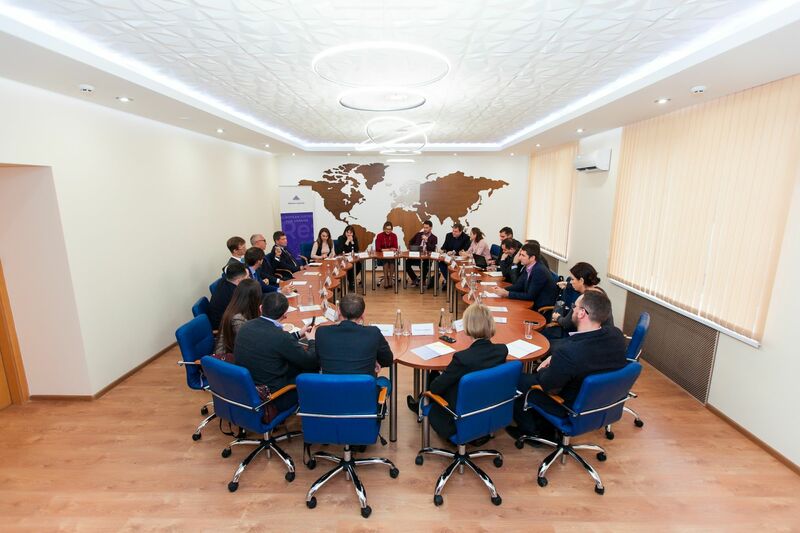 The EU Project “Pravo-Justice” initiated the setup of the Council in cooperation with the Southwest Economic Court of Appeal, the Ministry of Justice, specialized institutions, and field experts in order to strengthen the systemic “bottom-up” approach to the justice sector reform implementation in the regions. Following the conference, the Odesa Judiciary Reform Council will continue working on and overseeing the implementation of the Civil and the Economic Procedural Codes, while also preparing a questionnaire to monitor the outcomes of the PEO profession setup. The EU Project “Pravo-Justice” provides support for justice reforms, including the judiciary reset through selection and evaluation of judges, the revamp of the judicial governance system, the creation of the private enforcement profession and the probation service, the setup of electronic registers, and better protection of property rights. The Project’s partners are the High Council of Justice, the Ministry of Justice, the High Qualification Commission of Judges, the Supreme Court, the Notary Chamber, and other justice sector institutions. The EU Project “Pravo-Justice” is a successor of the EU Project “Support to Justice Sector Reforms in Ukraine”, implemented in 2014-2017. The Project contributed to the creation of the Judicial Reform Council under the Presidential Administration, and the drafting of the Justice Sector Reform Strategy and the JSRS Action Plan 2015-2020.